In order to add enclosures and start managing your environment you should start by design and configure the different kind of “enclosure block” you need. Enclosure block are way to manage your enclosures with ease and uniformness across your environment. This way it’s much quicker to deploy new enclosure or changing the purpose of exist enclosure (for example enclosure that was connected to your DC network and now you want to reconfigure to your DMZ network, typically you need to configure manually the trunks, VLANs, and assign ports, this is prone to mistakes and time consuming). Network Set = collection of networks (VLANS), you assign this to server profiles. Uplink Set = configuration of the uplink port, basically a trunk, uplink set can be Ethernet of Fibre. (Shared uplink set in Virtual connect terminology), you assign this to enclosure uplink ports. 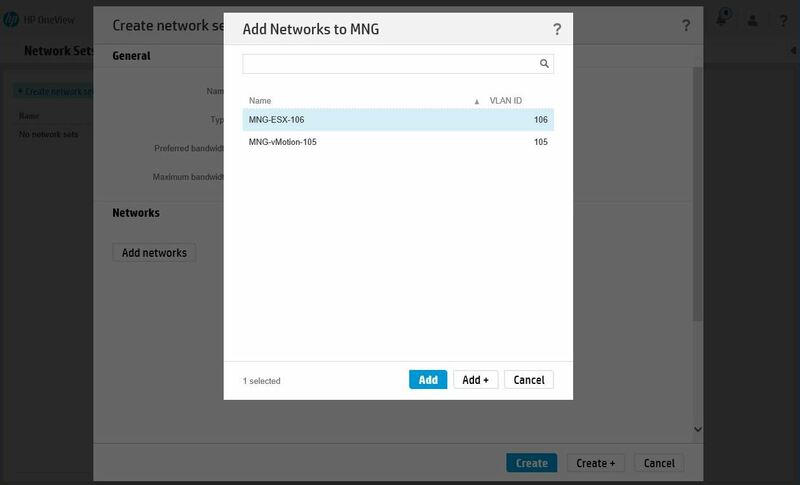 Give a unique and easy to understand name for that network, note that you can chose from different pre-defined “Purpose” – I have no idea what this mean right now. 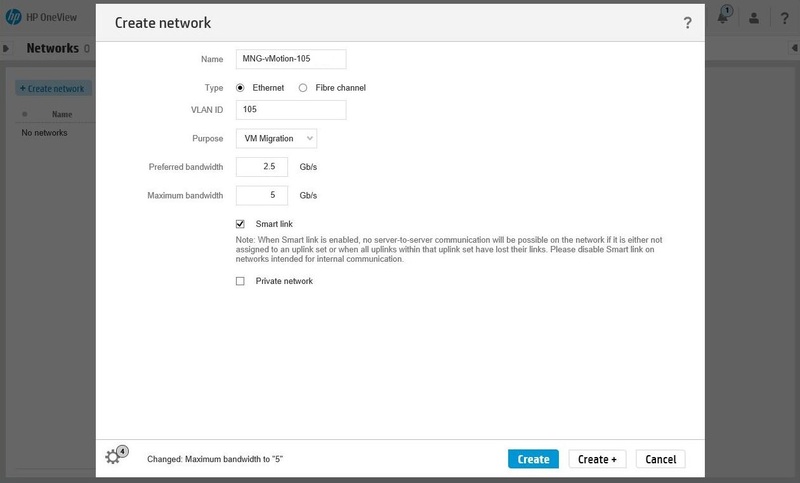 Also configure the bandwidth and Smart Link. 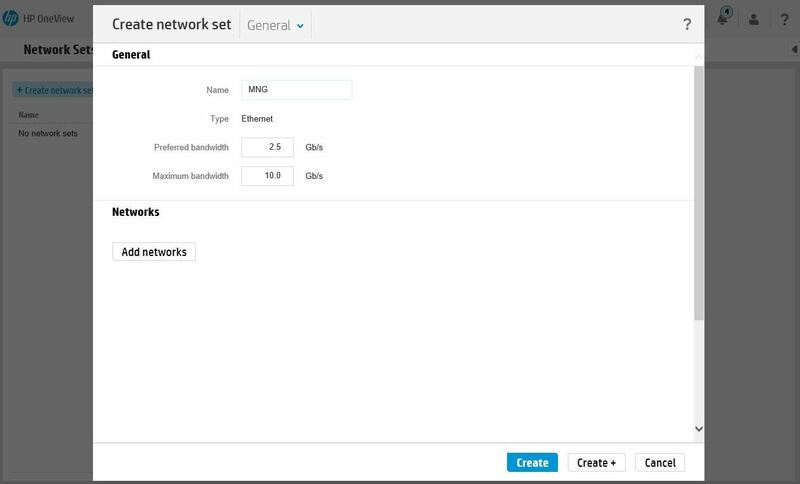 After creating your VLANs… sorry – networks, let’s create the network sets. Go to Networking > Network Sets. 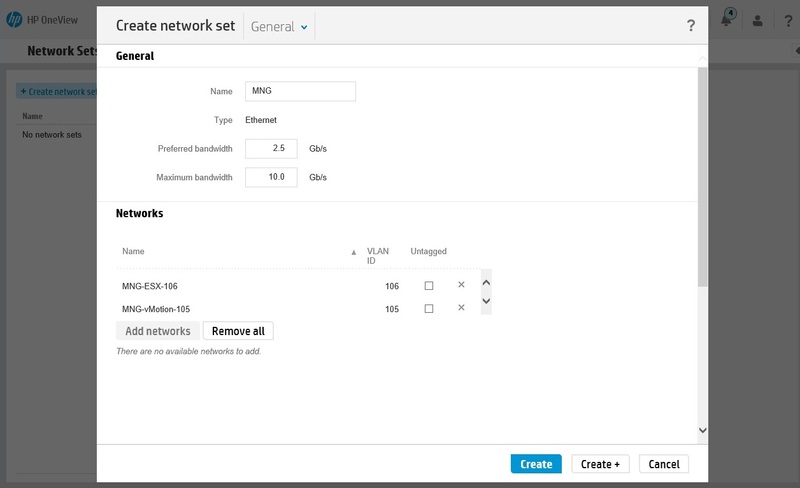 Click “+ Create network set” to create new network set. Give this network set a name, configure network bandwidth and click the “Add networks”. Add your network to the network set. After adding all the relevant networks you will see the network set with all networks, click Create to finish. Interconnect groups are the way to configure your enclosure interconnect bays. 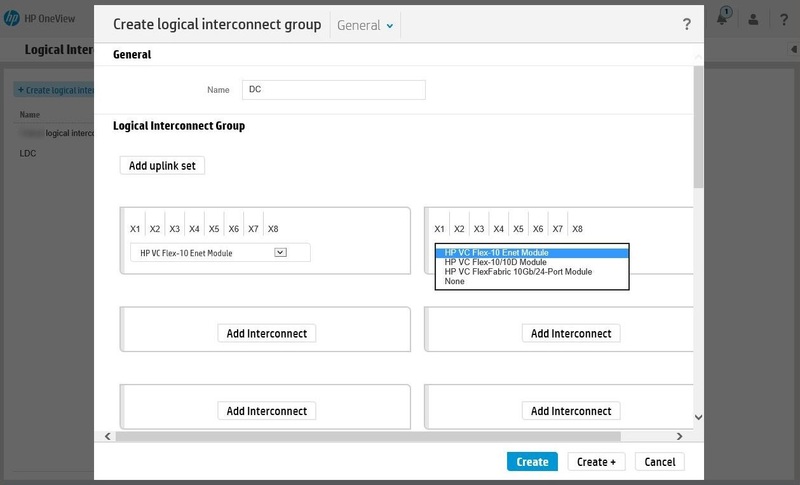 Select the “+Create logical interconnect group”, Give it a name, and add Interconnects devices. In my example I will use HP VC Flex-10/10D Module. 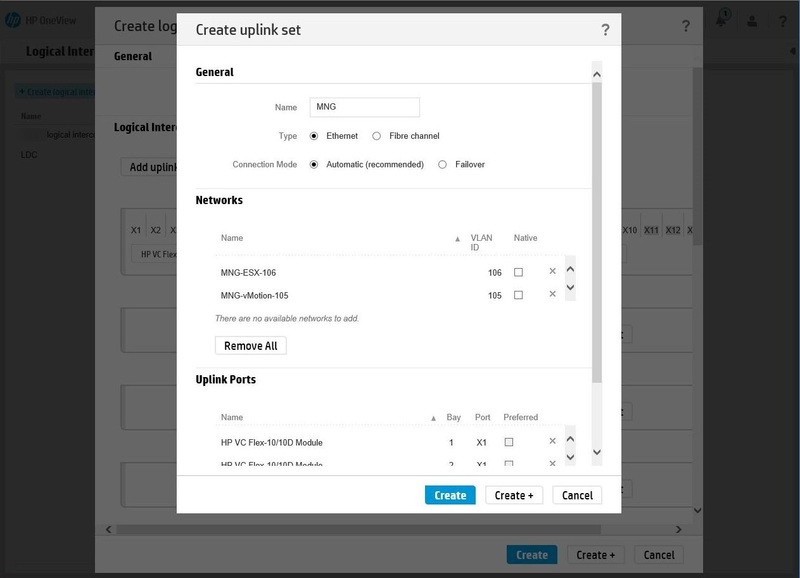 Now add uplink set, Select the “Add uplink set” and give it a name, chose Ethernet and add networks, then you need to assign them to ports. After clicking create you will see the uplink set and port assign visually which is very nice! There is more setting to configure in the interconnect group, just scroll down. 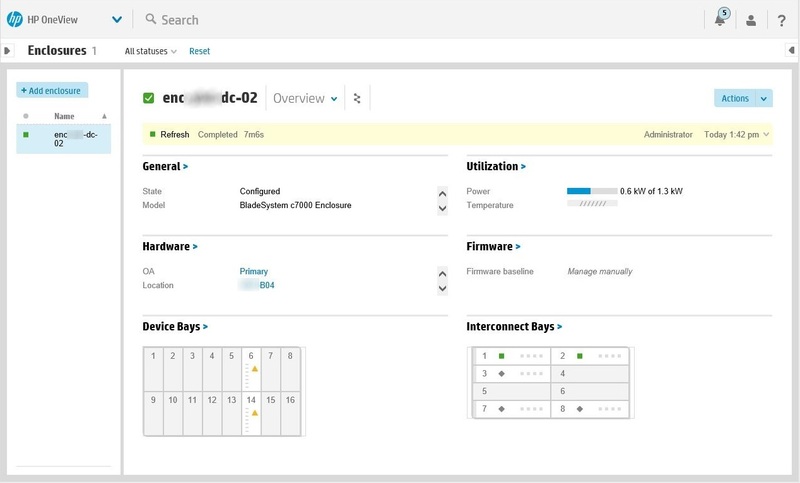 You can configure Interconnect Settings, SNMP, Trap Forwarding and SNMP Access. 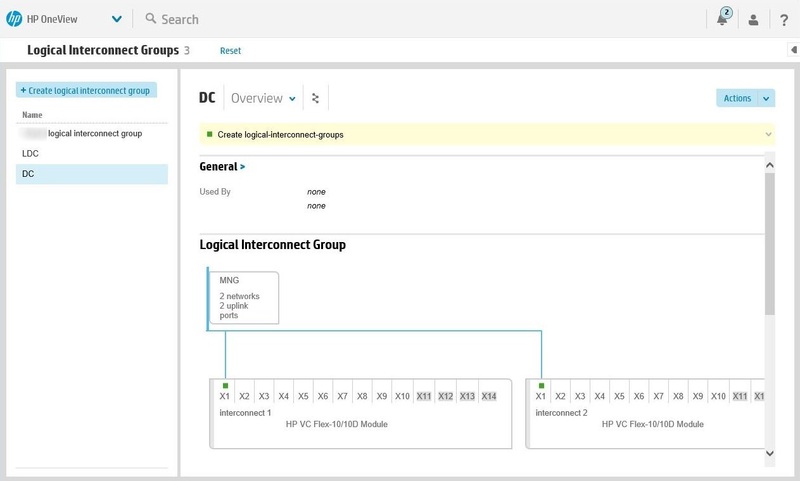 HP Virtual Connect – 3.15 for adding, 4.10 for managing. 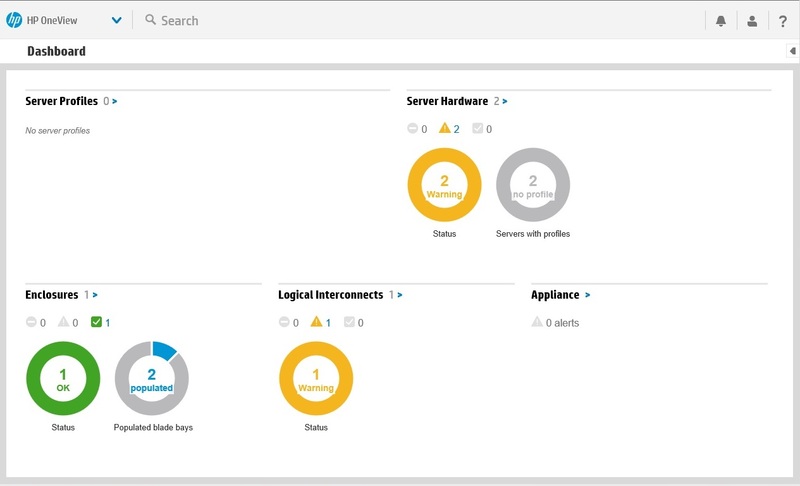 HP BladeSystem Onboard Administrator – 3.0 for adding, 4.01 for managing. HP iLO 4 – 1.01 for adding 1.30 for managing. HP iLO 3 – 1.20 for adding, 1.61 for managing. OneView can automatic update the firmware for you, I advise to update manually before adding to OneView. 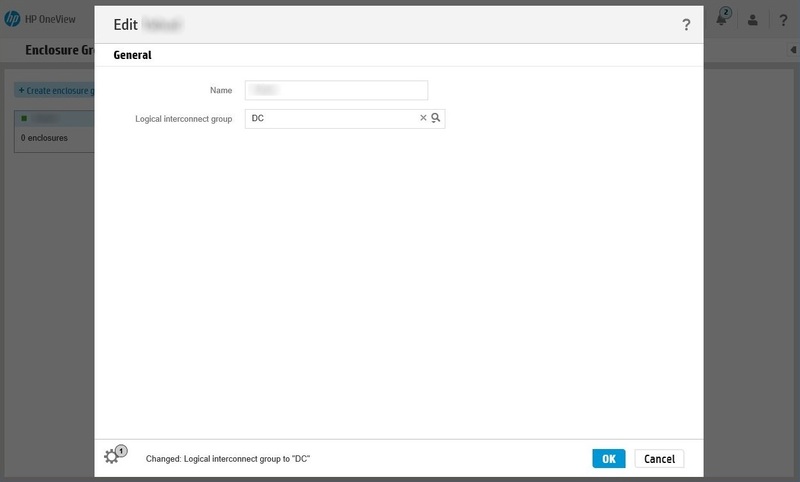 First you need to create Enclosure Group, go to “Enclosure Groups”, select “+Create enclosure group” type the name of the enclosure group and select the relevant Logical interconnect group. Go to “Enclosures” and click “+Add enclosure”. 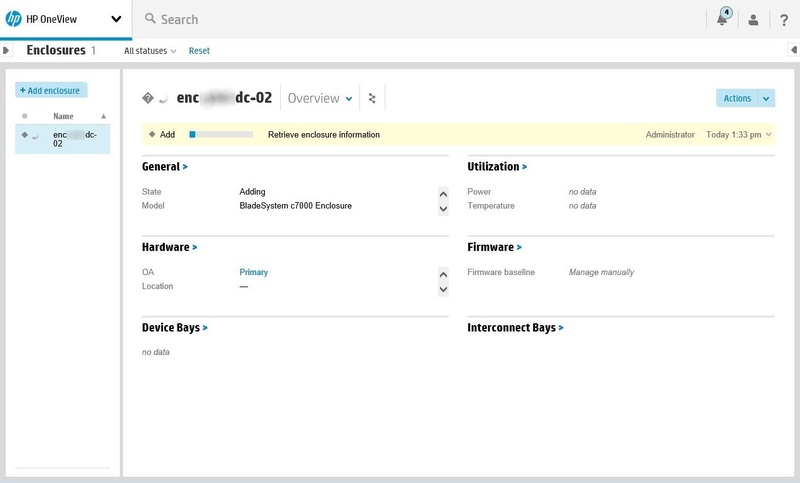 Type the DNS name or IP of the OA, then username and password, select enclosure group and licensing, you can also select a firmware baseline, note that OneView come with SPP 2013.09.0. After adding the enclosure you will see that OneView collecting the enclosure information and configure it to OneView. You can go to the enclosure OA and see that it’s now in VC Domain Name: OneViewDomain. The Virtual Connect Manager will redirect you to OneView. Thanks for reading, hope that was informative for you. Last week I was in a meeting in HP and was introduced with HP new converged infrastructure solution – HP OneView. The “road map” for OneView is to replace some exist management software (HP SIM, HP VCEM, HP Insight Control), but I will be surprised if HP will not integrate other management tools for storage and networking into OneView – making OneView a truly converged infrastructure solution (based on licensing and users roles permissions obvious), anyway – that sounds great. So – few hours after the meeting I was already deploying OneView OVF for testing. You can download OneView from here, as I write this, the latest version is 1.01, the deployment is quick and straightforward, just provide the network setting and some general setting and you will be ready. For my frustration OneView is not ready for enterprise (I know this already but was eager to try OneView), you can’t import exist enclosures because this version doesn’t support importing of enclosures with a Virtual Connect domain, even not just for monitoring. I did talked with some HP staff about that and been told that next version (1.05) will be out any day now and will include major changes and support like plug-in for VMWARE. One more downgrade in OneView is that it’s not support servers prior to G7 (G1-G6), if this is not concerning you and your environment is assembled only from G7 and Gen8 servers I envy you… but for most of us SysAdmins – this is a real concern. 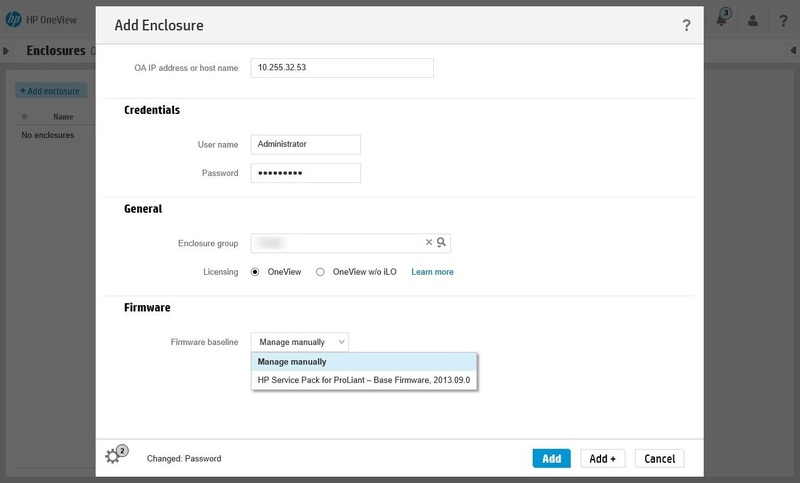 My conclusion from deploying and testing HP OneView is that its look very promising, yes this is not a finished product, Licensing and support is not very clear right now and I feel that there is some “birth pangs” that are reasonable for a fresh product.